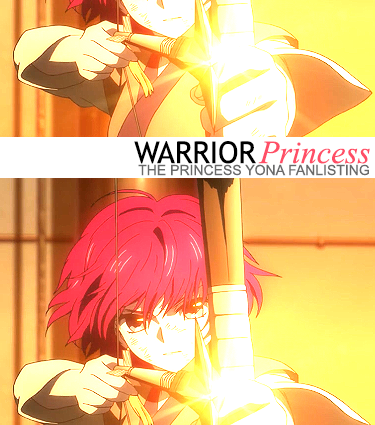 Welcome to WARRIOR Princess, the approved fanlisting for Princess Yona from the animanga series, Akatsuki no Yona (Yona of the Dawn). Please feel free to browse the sections of this small tribute and if you are a fan of this girl princess who through her trials and triumphs involves into an awesome leader, please join the fanlisting. Akatsuki no Yona and all related characters belong to Hakusensha and the other powers that be.